Top your foundation off with one of our bronzers and blushers to give the face and cheeks that bright fresh glow; or use one of our cream blushes or blush sticks and gleam on. Our tinted, glowing moisturizers, bronzers and blushers will create a flawless, totally natural-looking finish, even in the brightest sunlight. We have a foundation, moisturizer and bronzer for every face. 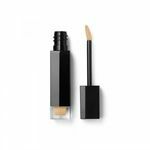 Shop the cosmeticcosmos.com selection of mineral make up powders, bronzers, foundations sticks, face kits, cream-to-powder foundations and finishing powders. You will find the choices from mineral make up powders and other mineral make up products are out of this world.